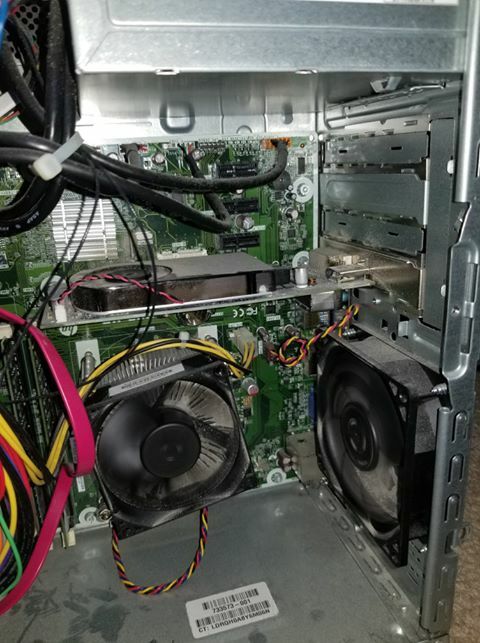 Question Will I be able to use this graphics card with my current computer? My computer is an HP Envy 700-339 (which I will link to) and I would like to upgrade my GPU. I noticed that the GPU I am looking to get (which I will link to) is dual slot, whereas the one my computer comes with is a single slot. Is it still possible to use the dual slot graphics card in my computer? This is not a "dual slot graphics card" and as far as I know there is no such thing, it just takes up two spaces on the back of your tower because it is so thick, the card only uses in PCI rail and this computers mother board you have linked us to in the description has one PCI slot, so this card is compatible with your pc, just make sure the back of your computer allows access to the thickness of the card. your new psu should be more than enough and if it is the 850 watt one I was linked to 850 watt is a good number and fairly future proof and all should be fine. Your computer will fit the thickness of the new GPU. The only thing I'd caution you about is the height (from PCIe slot aka top of mobo, to power connector). Measure that you have 5.75" from the top of your mobo to the side panel of the case. I am just curious as to what you meant by thickness of card. It sounds like you and tennis2 are mentioning the same issue, the size of the card. 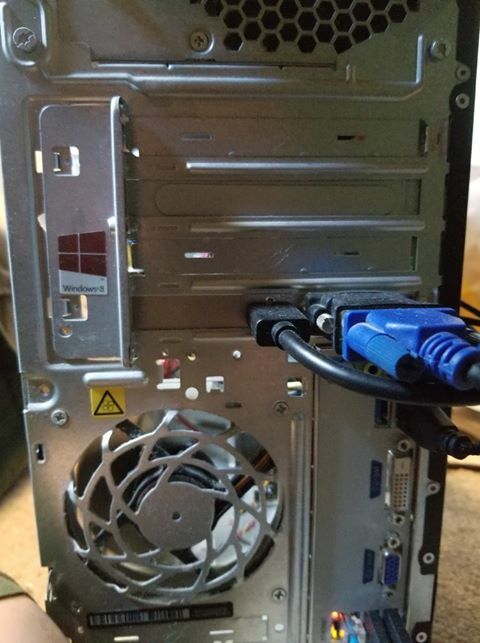 Do you mean that it may be too wide to fit inside the case or that the slots in the back may need to be changed around? Attached are photos of the back of my computer and where my graphics card currently is. Again, thanks for taking the time to help me with this! Yeah you need to get the measurements of this card and measure inside your case. even if it fits you might not have enough room to plug in the power adaptor and still put your side panel back on. it is going to be a close fit! Just to be clear we mean it will potentially be to wide, get a ruler and measure from your motherboard to were the side panel should be, the thickness is fine from what I can see, a picture of the whole computer would be good to see not just the gpu inside it. Your current GPU is a single slot size. It occupies a single expansion slot in the back of your case. The new GPU is a dual slot. Twice as thick. That's not a problem. Like Bubzy and I both said, you should be concerned about the WIDTH of the new card. It's 5.1" wide, then add 5/8" for the power cable that connects to the GPU. Hence, you need 5.75" (146mm) from the surface of your motherboard to the side panel of your case. 16GB sysem RAM is fine. I have 16GB of RAM in my computer. Also thank you both for the help, as you are indeed correct that it will be too wide to fit into my computer. I will look into getting either a smaller card or it might be time to get a new computer, thanks! Question Can I use a GTX 1070 with my current setup? New to PC, what kind of Graphics cards are viable to me with my current setup? looking for a recommendation for a budget graphics card to put into my current build.